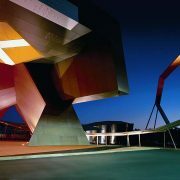 Due to unforeseen circumstances outside our control the Adelaide venue had to be scratched from the touring itinerary. 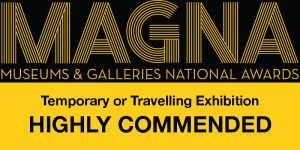 We have been informed that the State Library of South Australia has not extended the lease for the venue, the City Gallery on North Terrace, which is occupied by the Flinders University Art Museum. 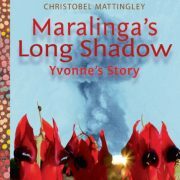 Christobel Mattingley’s book Maralinga’s Long Shadow – Yvonne’s Story won the Young People’s History Prize at the 2017 NSW Premier’s Literary Awards last week. 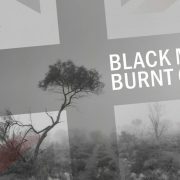 Burrinja is delighted to announce that Black Mist Burnt Country has been awarded at the Museums and Galleries Australia National Conference in Brisbane. We are very happy to announce that our Online Shop has been quietly launched yesterday. 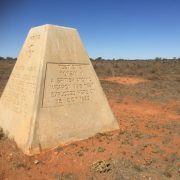 Apart from the Exhibition Catalogue you can find a range of interesting books, audio books, and posters on the topic of the Maralinga nuclear tests and atomic weapons in general. 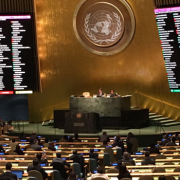 Negotiations are underway in New York at the United Nations to produce a treaty banning nuclear weapons. This is a historic moment. Disarmament experts and campaigners are confident that the legal loophole will be closed and nuclear weapons outlawed, which will provide an important legal framework and instigate nuclear disarmament in the future. A 40-page educational resource is now available for download from the resource section on website. 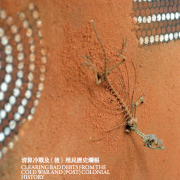 The brochure was developed by Dr Jo Clyne at the History Teachers Association of Victoria, and has been tailored for secondary school students and adapted to the curricula in VIC, NSW and QLD. 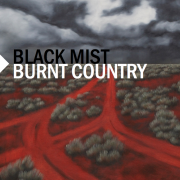 Since the launch of its tour in Sydney in September last year Black Mist Burnt Country has attracted – and continues to receive – some terrific media attention. 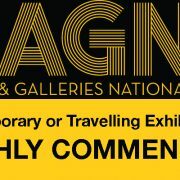 National media including ABC News24, Radio National, NITV, The Conversation, as well as the arts media have covered exhibition.